Heat oven to 375°F. Spray 13x9-inch (3-quart) glass baking dish with cooking spray. 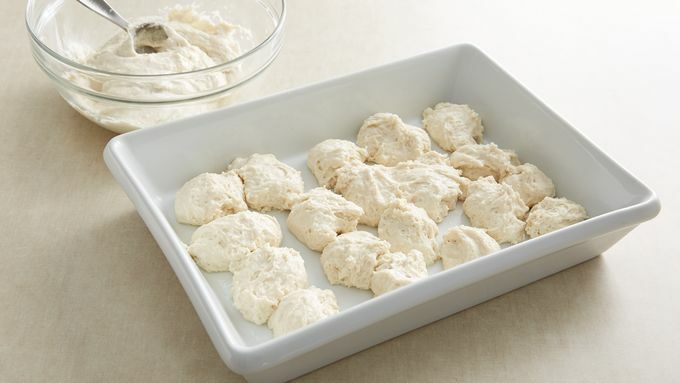 In medium bowl, stir Bisquick™ mix and milk until soft dough forms. Drop half of dough by tablespoonfuls evenly into bottom of baking dish (dough will not completely cover bottom of dish). In 10-inch nonstick skillet, heat oil over medium heat. Stir in bell peppers; cook 2 to 3 minutes, stirring frequently, until just slightly crisp. Remove from heat. 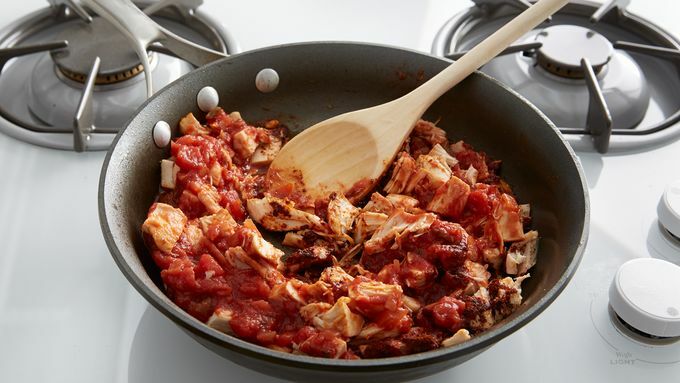 Stir in chicken, salsa and chili powder. Spoon half of the chicken mixture over dough. Sprinkle with 1 cup of the cheese. 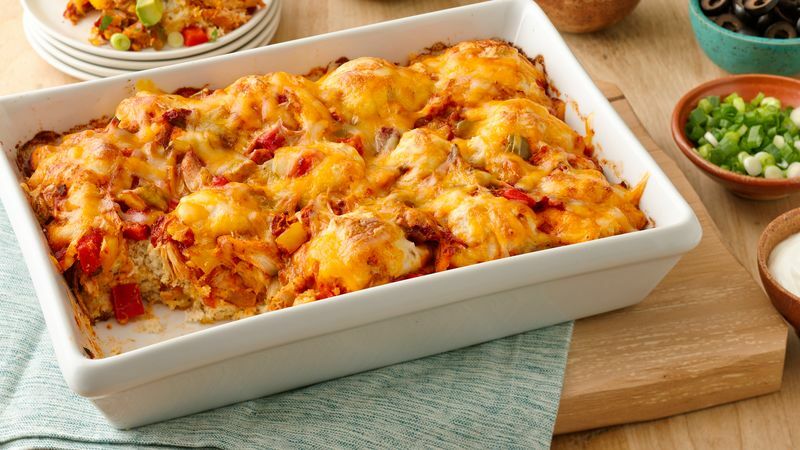 Repeat layers with remaining dough, chicken mixture and cheese. Bake 25 to 30 minutes or until golden brown and biscuits in center are cooked. Top each serving with dollop of sour cream and fresh cilantro. Serve with additional salsa. Customize! 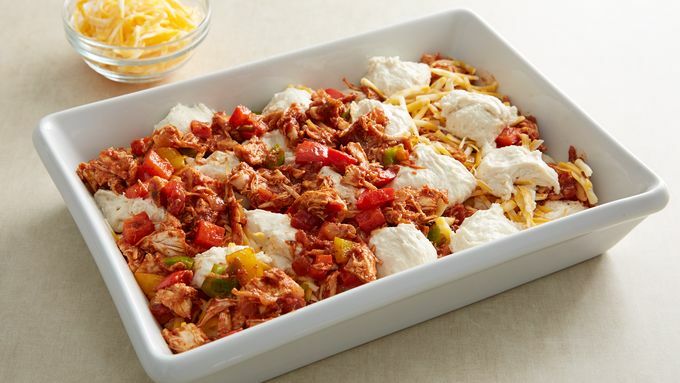 Top servings with your favorite Mexican topping--chopped tomatoes, avocados, green onions and ripe olives. To get cooked chicken the easy way, pick up rotisserie chicken. Remove meat from bones, cut it up and use immediately or place in a storage container. Store it in your freezer or refrigerator for later use. An average bird is about 2 pounds and yields 3 cups of cut-up meat.